A rock formation near the southern entrance. 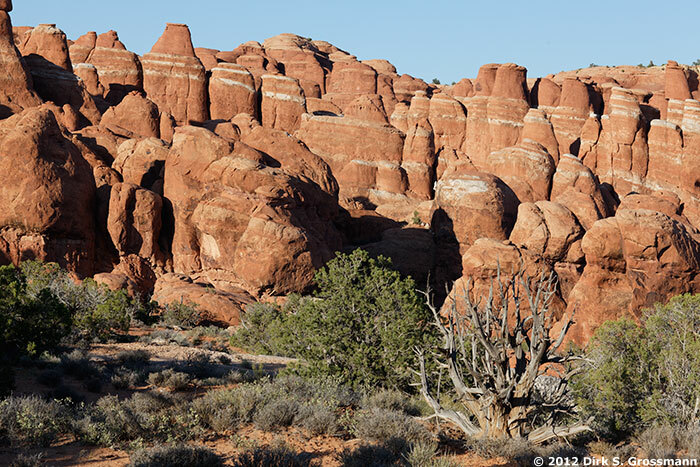 A row of rocks and arches. Two neighboring arches with nice views to the desert. The famous arch overlooking a deep valley. Deep red rocks with light bands. In a rock formation resembling a sand dune. On a hill overlooking the Salt Valley. 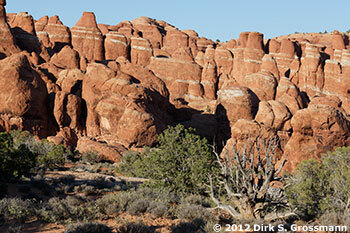 Area of arches and impressing rocks in the north.